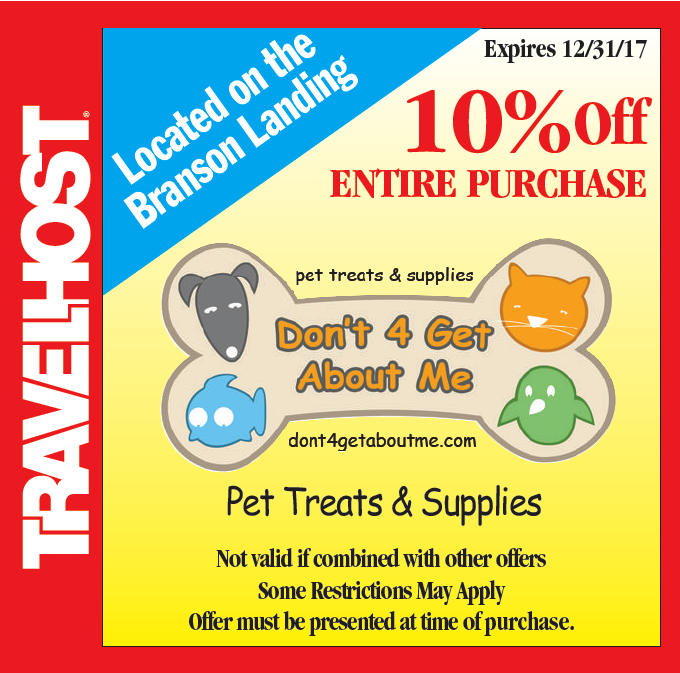 Show this coupon and save at Don’t 4 Get About Me in Branson! Most of us travel and miss our pets while away. 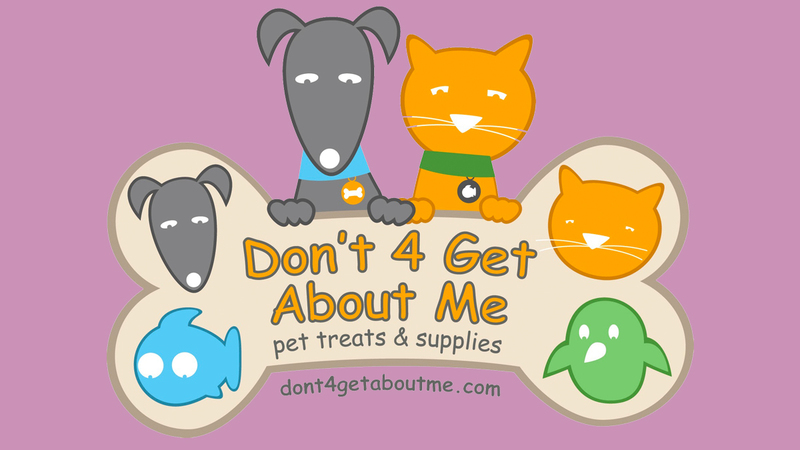 Don’t 4 Get About Me, our retail location, is designed with your pet and pet sitter in mind. A fun atmosphere and great customer service will help you find the perfect gift, unique toy, or USA made natural treat to bring home to your furry family.